You are currently browsing the archives for the Conservation Minnesota category. Its provisions give the Interior Department the power to determine what species are endangered and then to list them publicly. It makes it illegal to capture, kill, transport, sell, buy, possess, import or export any of the listed plants or animals. There is a separate category for “threatened” species, those organisms that are on the brink of becoming endangered. They are equally protected, except that scientists may take specimens when necessary for vital research. In the United States the Office of Endangered Species currently lists 51 plants and 143 animals as endangered and 7 plants and 38 animals as threatened. To prevent the import or trade of endangered species native to foreign countries, the office lists 402 foreign animals as endangered and 16 animals and a plant as threatened. The goal of the ESA is to properly manage plant and animal species so they’re no longer endangered or threatened. Here in Minnesota, the ESA was critical in turning around the timber wolf population. At one point (the late 1960s and early 1970s), only a few families of timber wolves existed in Minnesota. After proper management, the timber wolf population, through cautious management, was rejuvenated to the point where there were open hunting seasons on the great grey wolf. That’s a legitimate success story. That should be the goal of management policies for all endangered or threatened species. Instead, the ESA has been used as a weapon against developers. It’s time to de-weaponized the ESA and return sanity to development projects. That will be a difficult task. 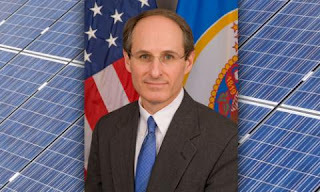 Environmental activist organizations like the Sierra Club, Conservation Minnesota and others have used the ESA to throttle projects. They won’t give up without a lengthy court fight. Rejecting the blanket rule won’t fix the law but it’s a positive first step. Environmental groups have already filed four lawsuits, most challenging a proposed land exchange with the U.S. Forest Service, and more suits are expected if the state eventually grants PolyMet permits. If the DNR calls for evidentiary hearings before an administrative law judge to gather testimony on aspects of the mining plan that are disputed by environmental groups and Indian tribes, that could tack on another 6 to 9 months to the regulatory process. Anyone that thinks spending $250,000,000 is reasonable to get approval for a mine hates mining and miners. The DFL and their front groups (think Sierra Club, Conservation Minnesota and Campaign to Save the Boundary Waters) might think that’s reasonable but sane people don’t. If anyone wants to know why entrepreneurs are leaving Minnesota, the regulatory climate is a major reason. There’s nothing reasonable about it. TRANSLATION: Sen. Schumer essentially ordered Gov. Dayton to pick someone who was willing to do more than serve as a placeholder until this November’s special election. Simply put, Sen. Schumer gave Lt. Gov. Smith a set of marching orders and she complied. “I’ve heard stories from families who are working 2 full-time jobs and are still struggling to find a good place to live. Minnesota has some of the best schools but I have talked to moms who are faced with driving 60 miles every day to get their children to a good pre-school. Minnesota has more people with health insurance than almost any other state, yet I have talked with farmers who have lost access to their long-time doctors and can’t afford the health insurance premiums. Minnesota iron ore built this country yet I have talked with Rangers who are worried about the future of their small towns. Minnesota is often named as one of the best states for women yet even here, women still earn less than men and women of color and Native American women have even fewer opportunities. (sigh) We have so much opportunity in this state and in this country but we have so much work to do to make sure that that opportunity is broadly shared. Let’s go through that list. First, DFL taxes and regulations have killed capital investments, thereby killing jobs. The DFL doesn’t trust in capitalism, which is why there’s an outmigration of people from Minnesota to Iowa, North Dakota, Texas, Utah and Georgia. According to the state demographer, this trend isn’t all retirees. It’s prevalent through all age groups. Next, the DFL’s metro-centric policies have hurt people living in rural Minnesota. Don’t blame this on Republicans. Republicans have fought with Gov. Dayton and Lt. Gov. Smith for rural Minnesota’s priorities. Next, Lt. Gov. Smith hasn’t lifted a finger to make PolyMet operational. If she gave a damn about the Iron Range, she would’ve fought for the Iron Range. Smith hasn’t fought for the Range because she’s a close friend of Alida Messenger, the most anti-mining DFL activist imaginable. I hope Rangers aren’t fooled by Smith’s faux empathy. Smith doesn’t empathize with Rangers. She’s visited the Range but that was a strictly a photo-op. Another thing that Smith shouldn’t get away with is her criticism of the ACA/MNsure. She was an integral part of getting that enacted into law as Gov. Dayton’s Chief-of-Staff. It’s indisputable that Smith’s policies have hurt Minnesotans. Finally, Smith was Gov. Dayton’s trusted ally long before he was elected. She isn’t just a trusted ally. She’s the architect of Gov. Dayton’s campaign. I don’t doubt that Lt. Gov. 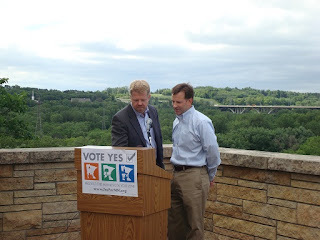 Smith will try to project an image similar to Sen. Klobuchar’s. That’s smart politics. It’s also exceptionally dishonest. Smith is more of a centrist than them pervert she’s replacing. This article highlights the fact that environmental activists aren’t trustworthy. For years, we’ve heard activists from the Sierra Club, Conservation Minnesota and Friends of the Boundary Waters tell us that the sulfur embedded within the copper deposits will stunt the growth of wild rice while poisoning the water. Pro-mining people questioned the environmental activists’ claims throughout. We’re finding out why the pro-mining people were skeptical. 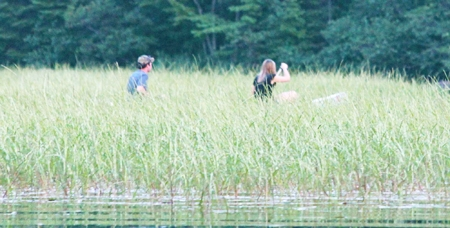 First, before getting into that, I wrote about a University of Minnesota study on wild rice growth a couple years ago. The study reported that rice growth was stunted except when there was a high concentration of iron in the water. The study found that iron mitigated the damage sulfur caused to the rice. The caption reads “A Picture Worth a Thousand Words: Much has been written lately about how sulfate discharges from mines may stunt wild rice growth. Here is a photo of wild rice on Birch Lake (Dunka Bay) ‘stunted’ by sulfate discharges in the Dunka River from the Dunka and Northshore mines. Why are new studies needed when actual results already exist? Photo by Pete Pastika.” Good question, Pete. Personally, I think the time for studies is over. The time for Minnesota to approve the final permits is now. In the first 4 parts of this series (found here, here, here and here), I focused on different facets of the inadequacies of the Dayton-Rothman Commerce Department. I categorized each of the shortcomings and culprits. Most importantly, I identified the opportunities that the Dayton-Rothman Commerce Department missed and why. This article will pull everything together so we can put together a less hostile, more business-friendly set of policies that doesn’t sacrifice the environment. First, we’ll need to streamline the regulatory review process so hostile environmental activists don’t have multiple opportunities to throttle key infrastructure projects. Whether we’re talking about killing the Sandpiper Pipeline project, the constant attempts by the Sierra Club, Conservation Minnesota and Northeastern Minnesotans for Wilderness to kill both the Twin Metals and the PolyMet projects or the Public Utilities Commission and the Dayton-Rothman Commerce Department, it’s clear that the DFL is openly hostile to major infrastructure projects. It’s long past time to get the PUC out of the public safety/transportation business. Similarly, it’s time to get the Commerce Department out of the environmental regulatory industry. Public safety and transportation belong in MnDOT’s purview, not the PUC’s. Environmental regulations need to be significantly streamlined, then shipped over to the DNR. There should be a period for fact-finding and public comment. There should be the submitting and approval/disapproval of an Environmental Impact Statement and the submitting and approval/disapproval of an Economic Impact Statement. Third, streamlining the review process limits the opportunities for environmental activists to kill projects like those mentioned above. There’s a reason why it’s called the Commerce Department, not the Department of Endless Delays and Excessive Costs, which is what it’s become. Eliminating the PUC’s oversight responsibilities, especially in terms of approving certificates of need, will eliminate the impact that environmental activists serving on that Board can have in killing or at least delaying major infrastructure projects. Fourth, it’s important that we bring clarity and consistency to this state’s regulatory regime. The system Minnesota has now breeds uncertainty. That steals jobs from Minnesota because companies attempt to avoid Minnesota entirely whenever possible. While we want to preserve our lakes, rivers and streams, we want to preserve our middle class, too. The environment shouldn’t be put on a pedestal while communities die thanks to a dying middle class. I’ve seen too often how once-proud parts of Minnesota that have a heavy regulatory burden have seen their middle class essentially disappear. Cities like Virginia and Eveleth come to mind. 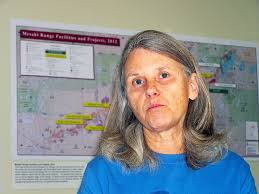 It’s immoral to give a Twin Cities agency the authority to kill Iron Range communities. That’s literally what’s happening right now. For the last 7 years, Gov. Dayton has run an administration that’s of, by and for the environmental activist wing of the DFL. If you work in a construction union, you haven’t had a great run. That isn’t right. People who work hard and play by the rules should be able to put a roof over their family’s head, set money aside for their kids’ college education and save for their retirement. For far too many people, that hasn’t happened recently. The next Republican governor should implement these changes ASAP. It’s time to destroy the Dayton ‘Hostile to business’ sign and replace it with an ‘Open for business’ sign. It’s time to get Minnesota government working for everyone once again. 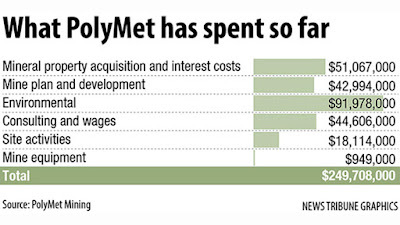 Over the years of covering PolyMet, I’ve heard some pretty flimsy arguments. 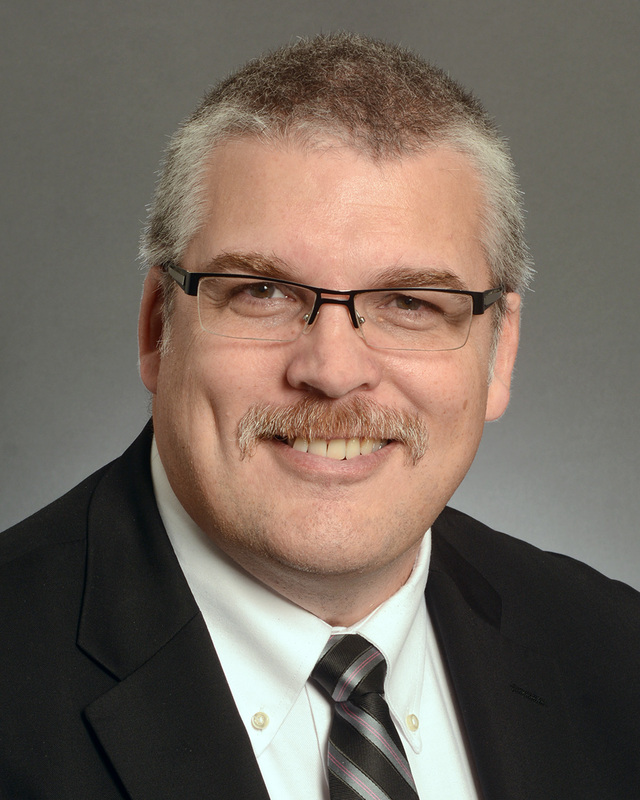 Few, though, have been as flimsy as Sen. Erik Simonson’s argument. According to the article, Sen. Simonson said “The ‘company’ wants the process sped up. Since when does our government work for foreign corporations?” Considering the fact that PolyMet has been engaged in this process for almost a dozen years, don’t they have the right to expect the government to expedite the process while ensuring that the laws are being faithfully obeyed? Before Gov. 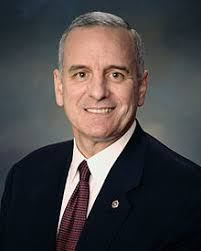 Dayton was sworn in as governor, I wrote this post, titled “Attrition, not litigation.” During Gov. Dayton’s entire term in office, he’s been as active as a potted plant when it comes to supporting miners. He’s sat still while environmental activists like Duluth for Clean Water Action Team, the Sierra Club, the Northeastern Minnesotans for Wilderness and Conservation Minnesota did their utmost to kill the PolyMet mining project. It’s hard to imagine what new evidence could be brought at a contested case hearing that hasn’t already been thoroughly researched, considered, vetted, and, where appropriate, implemented. An administrative law judge hardly would be an environmental expert or an authority on the science or business of mining. Those experts already have weighed in, prompted improvements to the plans, and signed off. It’s time to start building the mine. The region needs it economically. The regulating agencies have said that it will be operated properly. If the DFL wants to admit that they hate miners, they’re welcome to admit that. Otherwise, it’s time for them to get the hell out of the way so the Iron Range can prosper again. The lede in this article sounds a triumphant tone. The opening says “Labor Democrats decided to fight Saturday and won a major victory for the party’s future on the Iron Range.” While it’s a procedural victory for the Range, it isn’t a major victory if you’re judging it by whether anything changed as a result of the vote. In defeating Resolution 54, the Range Delegation kept the language of the resolution out of the DFL state party platform. That shouldn’t be mistaken for defeating the environmental activist Metrocrats. It shouldn’t be mistaken as proof that Gov. 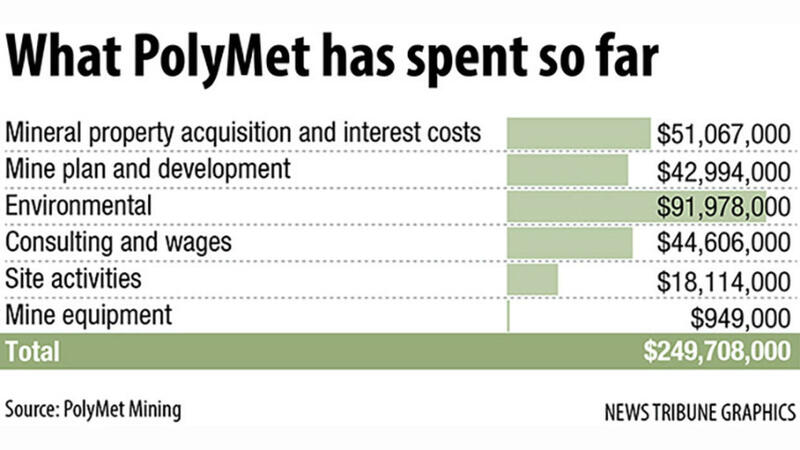 Dayton will approve any permits for PolyMet. Defeating Resolution 54 doesn’t mean that the DFL is suddenly open to mining. The DFL loves bogging things down with regulations, regulators and lawsuit. The thing Iron Rangers should ask themselves seems unrelated at first. This past winter, the Public Utilities Commission (PUC)decided to look into the Sandpiper Pipeline project. Specifically, they took jurisdiction over whether the pipeline path should be rerouted. The first question that should be asked is straightforward: what does the agency that regulates electricity rates have to do with infrastructure permitting? It isn’t like the PUC was the first regulatory agency to review the Sandpiper Pipeline’s potential impact on its environment. The point is that the PUC took jurisdiction to hinder the permitting process. Here’s another important question that the DFL hasn’t answered: why didn’t Gov. 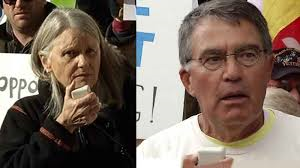 Dayton scream bloody murder when the PUC hijacked jurisdiction on the Sandpiper Pipeline project? In 2013-14, when the DFL had total control of the legislature and had a friendly DFL governor to work with, why didn’t they streamline the permitting process? Might it be because they prefer a permitting process that’s complex and convoluted? Ask PolyMet’s investors whether these DFL-supporting organizations haven’t used the same tactics to kill PolyMet. If they’re being honest, they’d say that’s the exact playbook that’s been used against them. Until the pro-mining part of the DFL becomes the dominant part of the DFL or until pro-mining voters switch to the GOP, there won’t be a change in the outcome. Saturday’s vote was all show. In the real world, it meant nothing. The anti-mining wing of the DFL still rules the DFL.